Much of the foundational work for the April STM trip to Nepal and India has been done. I am greatly relieved now that I have applied for my Indian visa, and made a practice run for my Nepal visa (can only be applied for 2 weeks in advance). Do pray for the Lord’s favor to grant the Indian visa. We only have $3.72 in the STM fund though some is promised. The Lord has been stirring up reminders on what I need to develop later this year. Part of this came from a letter (to another) reflecting on where leadership training in our fast-changing world should go. People are beginning to speculate, for example, that colleges are facing great changes with online training. I have plans for an app that can reshape how Christians typically perceive their Christian lives, growth, and ministry. I have also been challenged to upgrade the seminars into an online program with study courses that grants a certificate of completion. Pray for wisdom. 2017 was an extremely busy year, acting as interim pastor (which finished past June), many family activities, and developing new training resources. Pray, as this year unfolds, that the LORD will continue to refresh me for the tasks ahead in a way that pleases and glorifies Him. 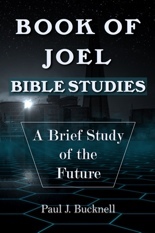 Praise the Lord one book, Book of Joel–Bible Studies, is soon coming from the printers. I am very thankful for grace to begin work on the new website. The first person has promised to help towards the STM funding! I began plowing through business taxes. Teaching on January 27th and 28th. The “Church in All Her Glory” series has begun! Mastering new techniques for the new website. Refreshing time on our trip south with family. Funds and visas for April’s leadership training seminars. Please note 'STM' if for the mission trip or 'Love' for the Love Fund.